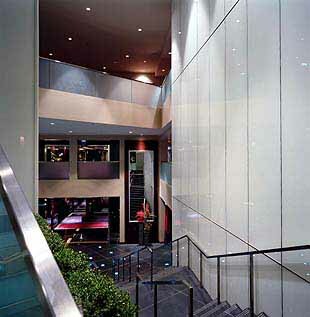 - the international luxury Sofitel Chicago Water Tower hotel. 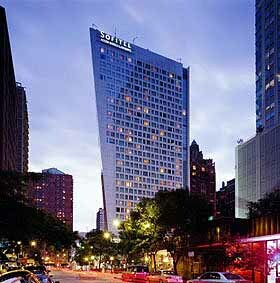 In the heart of the North Michigan Avenue shopping district and minutes from the Loop, the Art Institute, John Hancock & Sears Towers, Navy Pier and Grant Park - truly the best accommodation for the business and leisure traveler to Chicago. within the room, separate shower and tub in the bathroom and an outstanding view of the city with floor to ceiling windows. The Deluxe One Bedroom Suites which range in size from 634 to 692 square feet feature separate bedroom and parlor areas, over-sized bathroom with separate shower and tub and of course a dramatic view of the city. The Presidential Suite on the top floor of the building includes a spacious bedroom with walk-in closet, separate parlor area and one and a half baths. safe, hairdryer, bathrobe, slippers, Roger & Gallet amenities, iron and ironing board, three two-line telephones with voicemail/dedicated data line, modem point, fax-printer and minibar. Additional amenities and services available are 24-hour room service, concierge, doorman, valet parking, business center, 24-hour security staff, fitness center, laundry service, express check in and out and on-site gift shop. dinner menus are equally as outstanding. 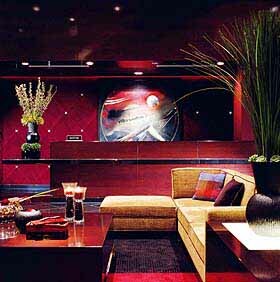 In the center of the Sofitel lobby, one will find the chic and vibrant Le Bar, which stretches more than 20 feet and includes an inviting granite fireplace. The Le Bar serves a selection of champagnes, white, red and dessert wines, classic cocktails and premium spirits as well as non-alcoholic beverages. In addition, appealing appetizers and light fare are served. The hotel offers 10,000 square feet of pre-function, meeting and banquet space including a 4,500 square foot ballroom and 10 additional smaller meeting rooms and breakouts. The two-story atrium lobby of glass and steel makes a most dramatic of entrances and the professional staff and state-of-the-art business center ensures your occasion to be a successful one.